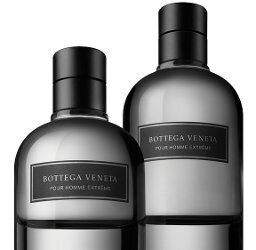 Bottega Veneta will launch Bottega Veneta Pour Homme Extreme, a "vibrant new interpretation" of 2013's Bottega Veneta Pour Homme. Bottega Veneta Pour Homme Extreme is an expression of the more intense, sensual facets of Bottega Veneta Pour Homme. [...] The fragrance features amplified labdanum and pimento notes, revealing a new richness and character, while the soul of the scent continues to radiate through its woody aromatic accord, heightened by intensified notes of leather. Magnetic, compelling and deeply intriguing, the result is a refined yet lasting Eau de Toilette, an unforgettable expression of masculinity. Bottega Veneta Pour Homme Extreme was developed by perfumers Antoine Maisondieu and Daniela Andrier. Bottega Veneta Pour Homme Extreme will be available in 50 and 90 ml Eau de Toilette; look for it in January. Ok, ppl at BV were definitely listening to reviews. Several of us liked BV but thought it was ‘watered down’ smelling..and specifically asked for an intense or extreme version! Will definitely try this! Interesting that it’s still an Edt…but hopefully it has way more oomph. Didn’t see the edt part…hopefully, indeed.